The creators behind the Grobo call it the “Keurig for plants.” Yes, it’s really that easy to use. 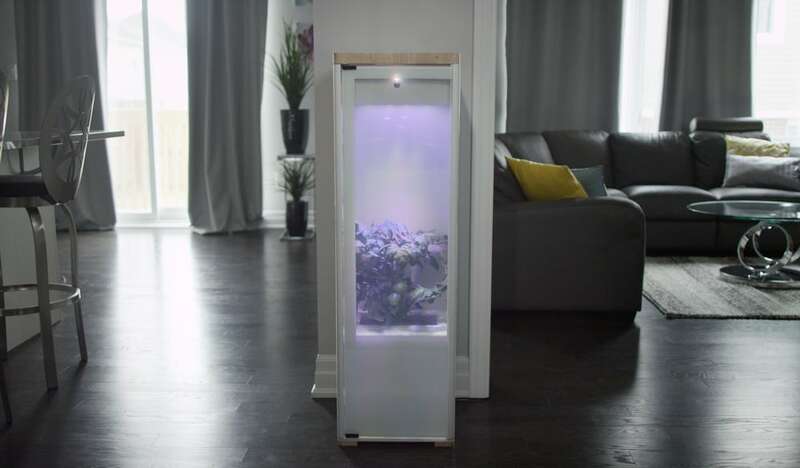 The Grobo is an indoor smart garden system that makes gardening super easy, even in places where having a personal garden never seemed like a possibility. The Grobo essentially takes all of the work out of gardening. It will stimulate ideal growing conditions and provide real-time information back to the user. This means the Grobo takes care of the watering and feeding of the plants so users can forgot about when they need to water the plants. 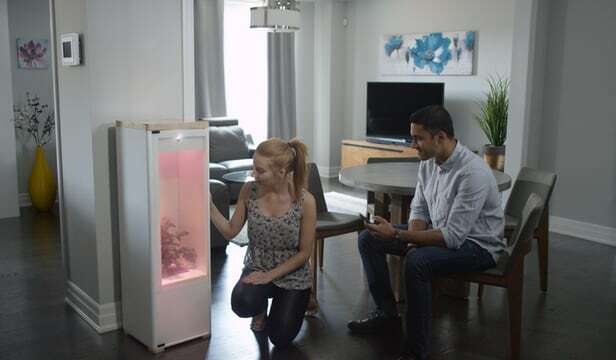 While indoor smart gardens aren’t necessarily a new thing, the Grobo sets itself apart by automatically supplying plants and herbs with what they need to survive. And standing at just about four feet tall, the Grobo is the perfect greenhouse garden for small spaces. However, its small size also means the Grobo can only grow one plant at a time. 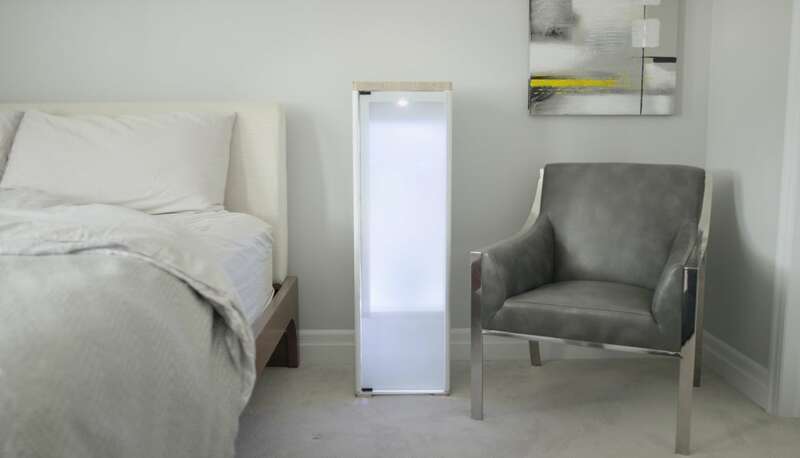 To create artificial lighting, the Grobo has photon lights, which are an array of 63 LED lights that provide plants with the perfect amount of color and light as well as mimic the natural sunrise and sunset. 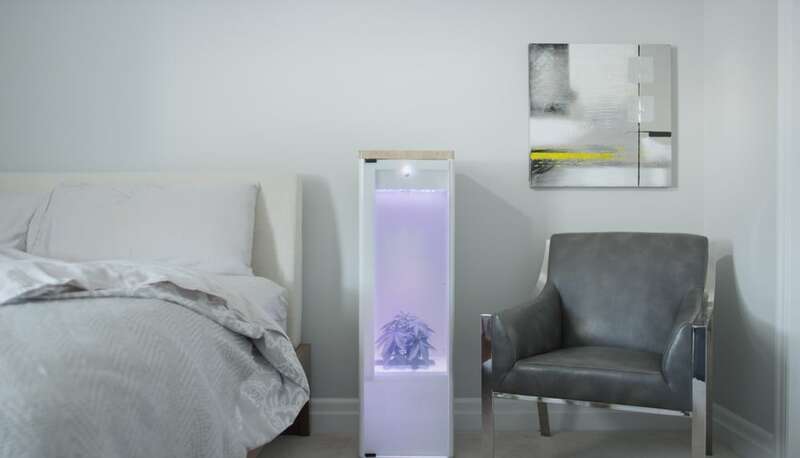 The smart garden also features temperature and humidity controls, an activated charcoal carbon filter to filter away unpleasant plant smells and an automatic watering system. As a bonus, the Grobo is much more discreet than other smart gardens. It features a fluid glass design that allows the user to turn the plexiglass door from transparent to opaque with the push of a button. This feature is also beneficial for the plants as it allows plants the proper darkness they need to grow. 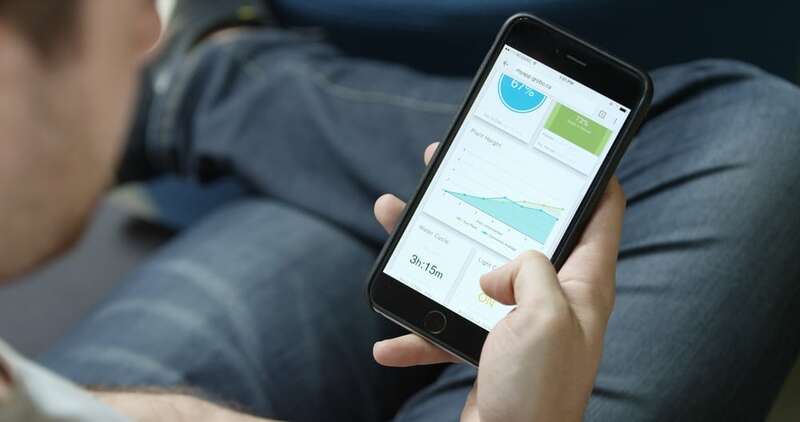 The Grobo is Wi-fi enabled so it keeps the user up to date with what is going on and everything can be connected via the Grobo app. Not only does the app tell users when their plants and herbs are ready for harvest, but it also lets users compare “plant stats” with a community of other gardeners and even modify grow settings to grow plants however they want. The Grobo is currently available for a preorder price of $899, saving you about $400 off the expected retail price. If you order now, the estimated delivery date is April 2017.